From time to time we acquire some unique siding options. One of our most sought after is the Reclaimed Red Pine Barnboard. 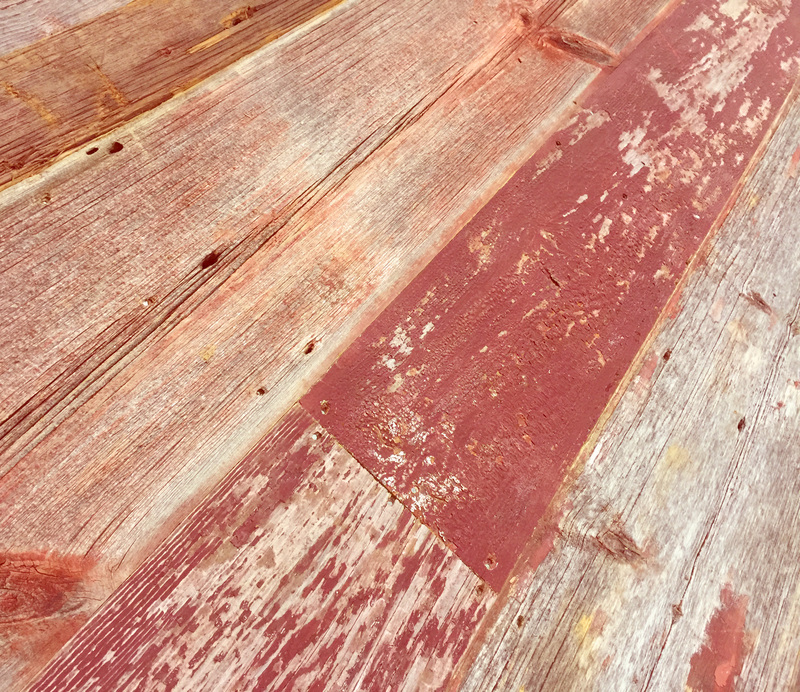 This barnboard is very unique because it was the remnants of antique red paint that has aged over 100+ years, creating a natural “faded red” look with a smooth texture and rich brown tones. We typically use this for fabricating doors and wall paneling, however the reverse face is a naturally aged “Pumpkin Pine” and can be used as flooring as well. This product comes in on a limited basis, so please inquire to our current availability. Our Reclaimed Faded Red Barn Siding comes from Antique barns and other structures that were painted and weathered over time. Boards can be a mixed specie and wear at different levels. Many barns were painted the a-typical barn red or white, allowing for the paint color to uniquely saturate the wood, creating different depths and tones.